The decline in manufacturing in advanced economies like the United States is well known and a source of concern to many. Less often discussed is the growth in service businesses that thrive in an information rich, digital environment. These new businesses depend on highly trained specialists of many kinds—who are not easily replaced—to keep them running and growing. This fact also makes such firms more vulnerable to many kinds of human risk failures. Background screening becomes even more important when a high proportion of employees may have access to assets or vulnerabilities whose exploitation can damage the organization. The term “gig economy” marks the emergence of widespread contingent workers, or independent contractors, who now make up about 40% of the workforce. The independent contractor is no longer just the highly skilled specialist who could sell their services to the highest bidder. Today, Uber, and firms that aspire to being the next Uber, use independent contractors for relatively low skill jobs. There are many advantages to companies to offload some of the costs and responsibilities of full time employees. However, the people who work these jobs are still going to be perceived as direct representatives of your organization. So if a catastrophic failure happens to one of them while on the job, your organization cannot avoid being implicated. You should screen the independent contractors the same way you would any regular employee for the same job because of implication. In the United States, the National Employment Law Project has estimated that one in four US adults has a record that would show up in a routine criminal background check. The prevalence of criminal records is much higher among blacks and Hispanics, so they may be excluded from jobs disproportionately as well. The Equal Employment Opportunity Commission, among other agencies and jurisdictions, has targeted hiring discrimination to combat the impact of criminal history. The EEOC has issued guidelines to employers to help them deploy background screening in ways that do not discriminate, and prudent employers will follow them. 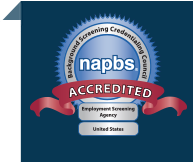 Today over 90% of US firms use employment screening routinely. In most cases, the screening is done by a professional agency that has the right knowledge and skills to make sure the background information is accurate and relevant. However, the background reports and actions based on them have become the subjects of far reaching laws intended to protect applicants and ensure fair decisions. These legal restrictions proscribe in detail how background screening must be used. Failing to adhere to these rules exposes organizations to legal and regulatory sanction. Coping with these trends is something every employer must do. Following the best practices laid out in our new guide, The Essential Employment Screening Guide for Employers, can help you face these trends successfully.